The three weeks I spent on Afghan ground last month doesn't automatically make me an expert on what U.S. citizen-soldiers are doing downrange, of course, but it should prove a start toward some greater peace and understanding. I'm excited to see where it all leads. I hope you are, too. The men and women of 2nd Brigade Combat Team (B.C.T. ), 34th Infantry "Red Bull" Division are nearing the end of a more-than-year-long, history-making effort. Politicians and pundits are already arguing how many U.S. troops to bring home from Afghanistan and when: The "Afghan surge" is due to be over in July. Osama bin Laden is dead. Depending on your beliefs and choice of cable news outlet, counterinsurgency ("COIN") strategy is either working in Afghanistan, or it's impossible. Since my return to Iowa late last week, I've been working to achieve a sustainable daily or weekly schedule--a new "battle rhythm," if you will. Somehow, I've got to find a way to balance my various research, reporting, and writing interests. From my Afghan journeys, I have pages and pages of shorthand notes to translate. And hours and hours of digital recordings to transcribe. Some of this material will be of immediate interest to readers of the Red Bull Rising blog. More will require further development, context, or words than a blog-post may allow. Still, as I revisit my recent experiences via my notes, I envision any number of blog entries similar in style and flavor to those regarding the Red Bull at the National Training Center (N.T.C. ), Fort Irwin, Calif. In that instance, I had embedded with the 2-34th BCT in September and October, but only started writing about those experiences in November. Writing history gives one the luxury of writing with a slower hand. "Torn from yesterday's headlines!" Fun fact: I retain an entire set of notes from a second week at NTC, which has yet to see the light of either blog or day. I'll have to dive back into those soon, too. The Red Bull experiences "in the box" at Fort Irwin directly foreshadowed its actions and activities in Afghanistan. 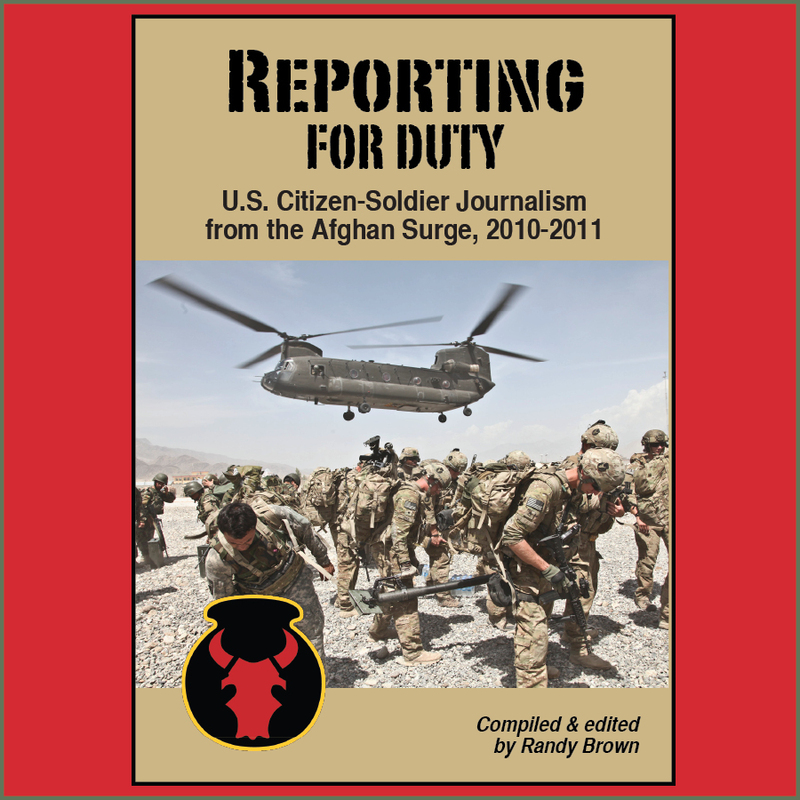 In addition to continuing my semi-regular blog-musings about the Red Bull, which I hope eventually to stitch together into a larger historical narrative of some sort, I'll also be pursuing a few side projects related to the organization's Afghan deployment and history. Like magazine articles, book proposals (note plural), movie and book reviews, and other good stuff. I'll keep you posted. I'd be remiss, by the way, if I did not take this opportunity to thank the citizen-soldiers of the 2-34th BCT, for their hospitality and openness during my recent Afghan travels. Particularly to the "Red Bull Action News Team." These are the public affairs soldiers of Task Force Red Bulls, who have diligently and creatively told the Army story during this deployment, borne witness to both good times and sad, and sought always to be "first with the truth": Maj. Mike Wunn, Staff Sgt. Ashlee Lolkus, Staff Sgt. Ryan Matson, Sgt. Tim Beery, Spc. Kristina Gupton, and Spc. James Wilton. I also need to thank my wife and kids for managing the home front. I owe them big-time, and not just because I spent this year's summer vacation fund on some bullet-proof camping equipment. 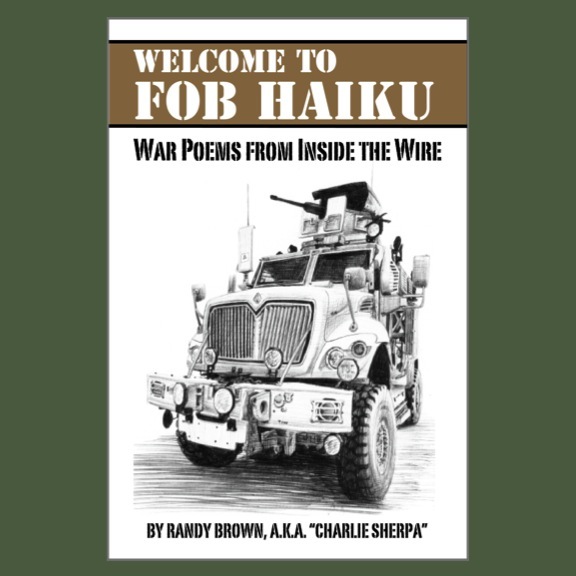 This week, I've updated the "About this Blog" page with a few additional items, as well as the "Help Our Soldiers" page. The latter is a running attempt to consolidate reports of officially announced or otherwise publicized Red Bull injuries. 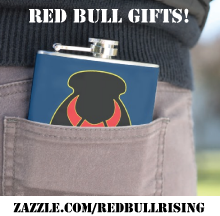 A number of readers have expressed interest in fund-raising on behalf of these and other Red Bull families. Please feel free to e-mail or Facebook-message me with notices of upcoming events and efforts. Please also keep these families in your thoughts and prayers, as well as the extended family of the 34th Infantry "Red Bull" Division. Just as the 2-34th BCT is returning home to Iowa this summer, elements of the Minnesota National Guard's 1st BCT, 34th Inf. Div. (1-34th BCT) are variously deploying to Iraq and Kuwait, and to Afghanistan. The Red Bull is on the move! You know how I sometimes make a really obscure joke-reference, and you end up making it better? Thanks of your continued reader- and friend-ship! Charlie, I know people want to know the updates on the injured and how they can help. I know that by watching the Feedjit results on how people get to my blog -- they're searching by the soldiers' names, the units, companies, or "injury update on X." I've really enjoyed following your blog and wish you the best of luck on your next phase of the project!